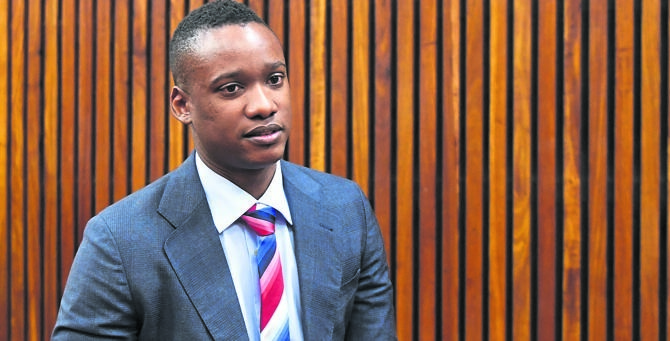 Proceedings in the case against Duduzane Zuma, son of former president Jacob Zuma, took place in the Randburg Magistrate's Court and one culpable homicide charge has been withdrawn. The court adjourns for the day and will resume tomorrow at 09:00. Baba asks Mdakane if she can remember what happened after Zuma's car had struck the taxi. Mdakane says it was a long time ago, and she cannot remember what had happened after Zuma's car struck the taxi. Hellens concludes his cross-examinations, the state prosecutor, Yusuf Baba is asking a few more questions. Mdakane brings new information that she did not mention to the police before. Mdakane says she saw Phumzile hanging on the side and someone shouted for her not to do that. Mdakane then saw she was dead, and closed Phumzile's eyes. #DuduzaneZuma Mdakane: It was raining, then a black motor vehicle approached. I shouted to the driver asking him if he could see the car which seemed it would bump us. Mdakane says they got out of the "combi" and the driver of the car came to speak to Dlamini. Thereafter, ambulances arrived and took them to the hospital. Mdakane describes the moments before the car hit the taxi. The next witness – Matron Mdakane – takes the stand. She is a 73-year-old who was in the taxi when the collision occurred. The court adjourns for lunch. He (Dlamini) can't comment on the other witnesses' testimonies. Dlamini says it was safe driving between 90km/h-100km/h in the wet weather. Dlamini said a passenger warned him about a car, mere moments before the collision. There was a lot of water flowing from Marlboro Drive because of the heavy rain, says Dlamini. "She was hanging out of the window, but I don't know how that happened" - Dlamini on how Phumzile Dube died. Dlamini retracts his statement and says the car was not spinning but he did notice the lights, but when he checked his mirrors he could not see the car. The taxi was hit on the right side and a steel barrier prevented the taxi from landing on its side. Dlamini says all of a sudden the collision happened, and he lost consciousness. Dlamini says he saw the car and it was spinning. Dlamini says when he left Fourways it was raining lightly on the N1, and when he got to the M1 the rain was heavy. The visibility was clear. #DuduzaneZuma Dlamini says on the day of the accident his taxi was full. Dlamini says he was driving from Fourways in the evening of the accident. The State calls its next witness – Jabulani Dlamini – the taxi driver, involved in the collision. Zuma's car did not have the function to assist when the car hit a pool of water. Adv Hellens argues though that new model Porches will come out with this function to assist in wet conditions. Based on the article, the light weight tires on the Porsche make it susceptible to hydroplaning –when a layer of water builds between the wheels of the vehicle and the road surface, leading to a loss of traction. Adv Hellens reads an article from "Automotive News", the article is based on an interview with the Head of sports car chassis development at Porsche in Germany. Cronje is being questioned about the night he once drove a Porsche through water. As a result, he did not have control over the car. Adv Hellens describes this as a "common experience". Adv Hellens asks Cronje to confirm if he is not an engineer and not an accident reconstruction expert either. Adv Mike Hellens is now cross-examining Cronje. Cronje confirms that the front left side of the car was damaged. The court learns that the back was also damaged, and that the exhaust was replaced after the collision due to damage. Photographs of the damages Porsche are now being shown to the witness. The court is back in session. The court adjourns for a short break. Cronje admits that the car was taken to Porsche after the accident. According to a pathologist's report, Mashaba died due to natural causes. The magistrate says Adv Hellens can request to cross-examine the witness if he would like to. The right to a fair trial not only applies to the accused, but to the State as well. Advocate Mike Hellens refers to the evidence by Cronje, saying that it is not a fair trial but rather a "trial by ambush".